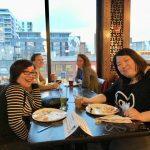 Friends of ALSC Reception at Power Up! 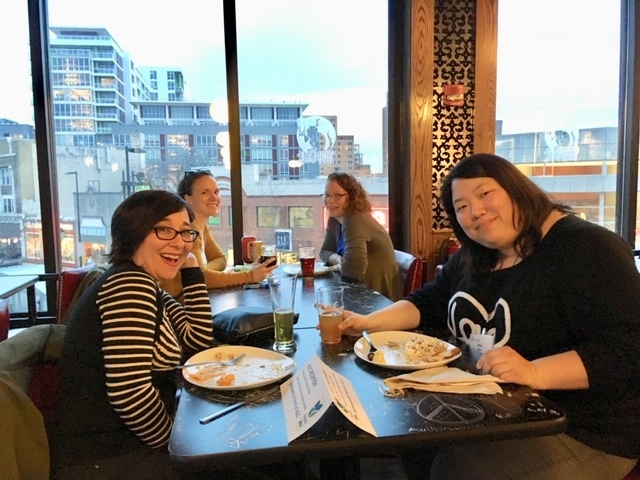 On March 28, 2019 #FriendsofALSC sponsored a reception in Madison, WI at the Power Up: A Leadership Conference for Youth Services Managers and Staff. The reception was hosted by Andrew Medlar and Dr. Sarah Park Dahlen. 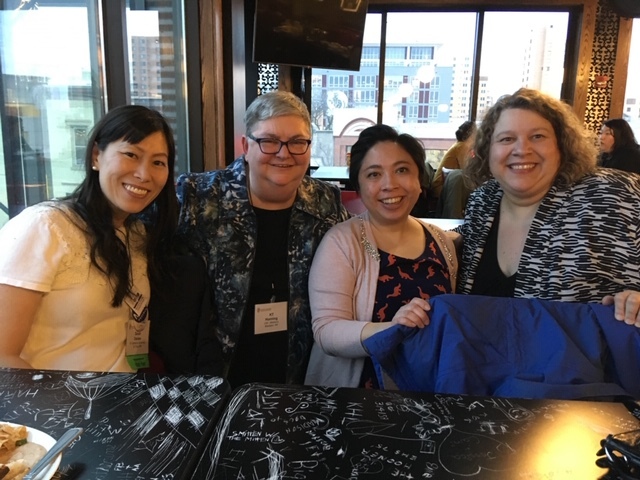 Although I could not be there in person, from pictures it seemed to be a nice opportunity for conference attendees to mingle and meet fellow attendees and ALSC members…and who doesn’t love food! You can check out the #PowerUp19 hashtag on Twitter to learn more about the conference! 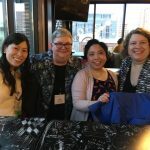 If you were an attendee, I hope you consider submitting a blog post on a session or major takeaways you think other youth library professionals could learn from. Where should we host it? Will we have ALSC leaders as hosts? ALSC Staff? Is the venue ADA compliant? How many people do we plan for? Do we have an RSVP form? What will be on the menu?! 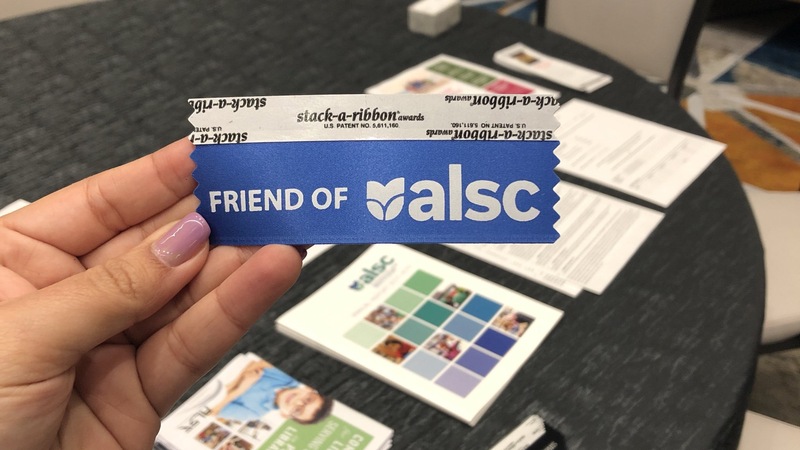 At the 2018 Midwinter Meeting, the ALSC Board approved for Friends of ALSC funds to be used for networking events such as these. A big, big thank you goes to our donors for their generosity and support. Being able to host these events are fun welcoming opportunities for new, existing, and prospective members to meet and share with each other. They also help me as an ALSC staff member put faces to names since so much of our work is done via email/phone. So I, too, really appreciate these opportunities. 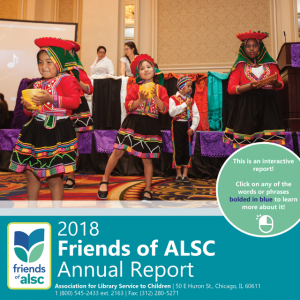 You can learn more about the projects Friends of ALSC supports by browsing the Friends of ALSC Annual Report! Money Smart Week — Can We Talk About Money?